(Washington) The board and staff of the Fund for Investigative Journalism would like to close out the year with an expression of gratitude for the many individuals and partners who made our work supporting independent investigative journalism possible. And a special thanks to the many new supporters who contributed during the past few weeks, leaving messages of encouragement and appreciation for hard-hitting, unbiased journalism. 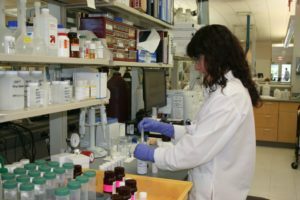 A yearlong investigation by the Iowa Center for Public Affairs Journalism reveals the prevalence of nitrates, arsenic, lead and bacteria in private wells across the state. But the 288,000 Iowans who rely on private wells for drinking water may not truly know what’s in their water because their wells aren’t required to be tested, according to a three-day series, “Crisis in Our Wells,” reported by Lauren Shotwell. Because the water quality in those wells goes unregulated, the health risks are unknown. On behalf of the Fund for Investigative Journalism, I’d like to wish you a joyous holiday season. And I’d like to personally thank all of you for your support of independent watchdog journalists. Without you, FIJ would not be able to do its important mission of helping freelance journalists keep institutions of power accountable. We are, of course, fortunate to have generous donors like the Logan Foundation – which is giving FIJ $100,000 for the current year – but we are also gratified by the many individual donors who have dug into their pockets to support our journalists. In recent weeks, about two dozen new donors have contributed to FIJ, some specifically mentioning concern over the spate of fake news and misinformation. Every donation, whether $10 or $5,000, is significant because each shows an appreciation for the role journalists — especially independent investigative journalists — play in our democracy. With that understanding comes the realization that it takes money to pay for quality journalism. Over the years, the freelance journalists we have funded have garnered wide attention and honors – including two Pulitzer Prizes, two National Magazine Awards, the George Polk Award and many others. More recently, the Kentucky Center for Investigative Reporting was honored with an Edward R. Morrow Award for exposing how Kentucky wasted $2 million a year paying elected jailers and deputies in counties that had no jails. More importantly, the package prompted state legislators, amid public outrage, to address findings brought to light by the center’s reporting. Last year, advocates for immigrant youth credited an FIJ-funded series called “Lost Boys” with humanizing an issue that had long played out in the shadows of the juvenile justice system. California Gov. Jerry Brown would later sign legislation prohibiting local probation departments from sharing immigration information with federal authorities. While we are proud of the accolades and awards, our longstanding mission is to foster journalism that provokes dialogue and debate. We hope that you will continue being a part of our mission by visiting www.fij.org and making a donation. 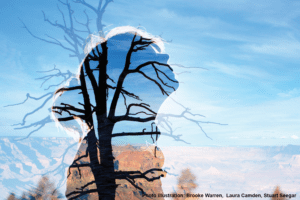 Lyndsey Gilpin interviewed more than 50 people — from park rangers and scientists, to superintendents and a former Park Service director — for her piece in High Country News looking into sexual harassment within the National Park Service. Her reporting, Gilpin said, revealed an agency that failed to protect workers from sexual misconduct, partly because of the agency’s culture of machismo, retaliation and a confusing process for reporting and handling complaints. (Washington) The Fund for Investigative Journalism (FIJ) has awarded $72,350 in reporting grants to 14 reporters or reporting teams working on stories that will expose significant ills in society, government malfeasance and cover-ups, and abuses of people whose voices are rarely heard. The grants cover the expenses of reporting such as travel and public records requests. FIJ invites grant proposals to support investigative projects three times a year. The next deadline for applications is Monday February 6, 2017. The Vichada region of Colombia, located in the country’s eastern plains, has become coveted real estate for corporate agribusinesses and other wealthy interests. 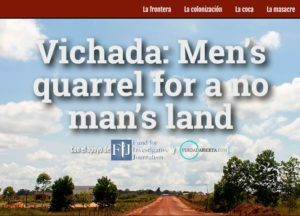 An investigation led by Oscar Parra and published in Spanish by rutasdelconflicto.com (translated to English here) documents how the country’s powerful — including emerald mining barons, multinational companies, drug traffickers and paramilitary groups — are taking control of land intended for poor farmers. Sometimes land is taken through coercion and violence, sometimes through legal sales that compensate farmers well below the market value of the property. Editor’s note: Over the past year, the Fund for Investigative Journalism sent several foreign-based grant recipients to conferences to help them hone their investigative skills. 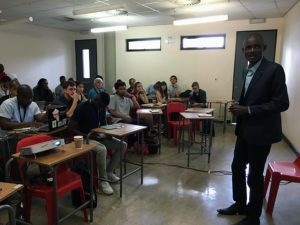 Christian Locka of Cameroon and Mark Olalde, an American based in South Africa, recently attended the African Investigative Journalism Conference held at the University of the Witwatersrand in Johannesburg. Christian Locka talks about his work as an investigative journalist in Cameroon. He and Mark Olalde, an American based in South Africa, recently attended the African Investigative Journalism Conference held at the University of the Witwatersrand in Johannesburg. It is never fun sitting through a verbal attack on your work and your industry, even if it is deserved. Time and again at the inspiring, frustrating and eye-opening African Investigative Journalism Conference held at the University of the Witwatersrand in Johannesburg, African journalists grumbled about “parachute journalism” and Western reporters, including an American one like me. At the conference’s closing “lighting talks,” I finally worked up the courage to volunteer to talk about my own work. I explained – through my Chicago accent – how the Fund for Investigative Journalism had allowed me to move past the parachute, now spending the better part of the past year and a half in Africa to thoroughly investigate South Africa’s abandoned mines. 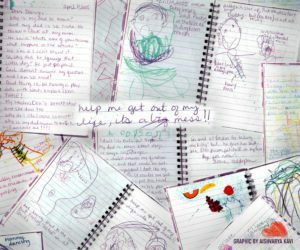 Reporter Laurie Udesky interviewed more than 30 parents and children across the United States in her two-year investigation into systemic problems in the nation’s family courts that are endangering children. Her report for 100Reporters, “Custody in Crisis,” exposed the peril faced by thousands of children nationwide as family courts give custody to sexually and physically abusive parents. Udesky found an alarming lack of accountability in a family court system that too often dismisses credible evidence of abuse, while relying on dubious theories to subvert the protective parents’ credibility. 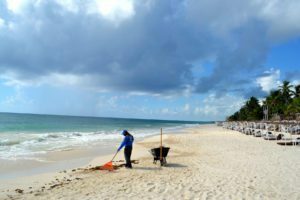 The town of Tulum, on Mexico’s Caribbean coast, has become a hugely popular tourist destination for “eco-chic” travelers seeking a boutique beach experience, according to a report by Oscar Lopez for Newsweek. But paradise comes at a price: As real estate values have soared, environmentalists and residents have been forced into battle against rich businessmen and powerful politicians who are seeking to develop the land by any means necessary. Foundations, corporations and individual Americans gave $119 billion in 2015 to religious charities. Steve Rabey, reporting for the Colorado Springs Gazette and Religion News Service, found that some of these charities aren’t very forthcoming about how they spend their money. Reporting for the Gazette, Rabey delved into the financials of some of his community’s largest ministries. But not all complied with his request for records — in apparent violation of transparency standards of the Evangelical Council for Financial Accountability. 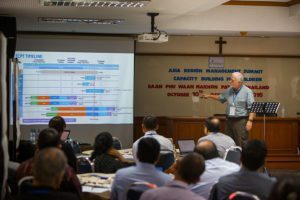 In his piece for RNS, Rabey took a broader look at financial transparency among the country’s largest religious ministries.